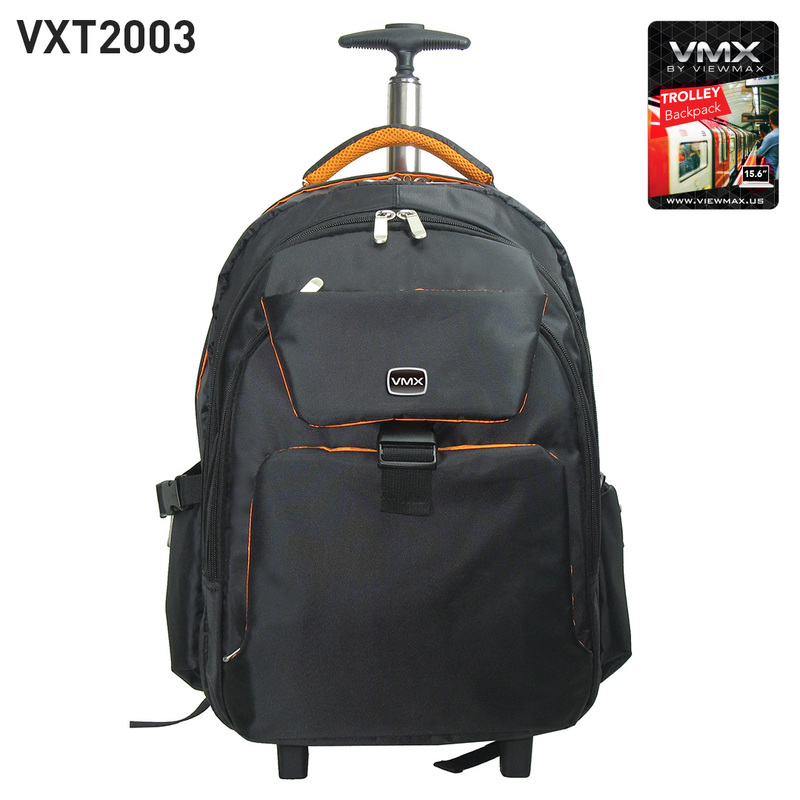 The ViewMax Trolley Backpack a wheeled travel piece all in one. The shoulder straps are padded and can be tucked away when you need the ease of a wheeled bag. The large side mounted action wheels with traction and stability control allow for ease of movement. 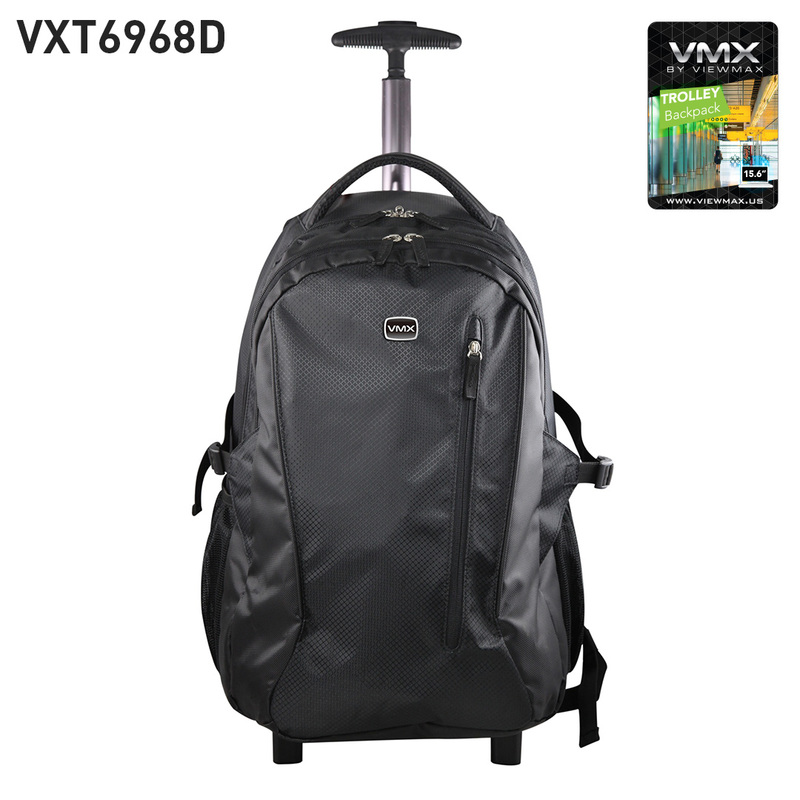 This wheeled daypack comes with a padded laptop sleeve large enough to carry a 15.6″ laptop. Take the strain off your shoulders and stability control with a single pole retractable handle. It has two main compartments and a padded laptop compartment. Other storage features include a large front drawbridge compartment with an organizer, a front zippered stash pocket, and a side water bottle pocket. It also offers a padded back, tuck-away shoulder straps, and a quick-grab handle for easy carrying.